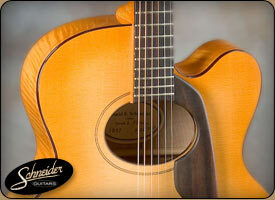 The top is rare European Spruce with back and sides in highly flamed European Maple. 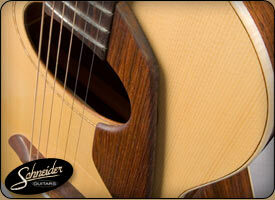 The head veneer, bridge, fingerboard and finger-rest is highly figured Ebony. 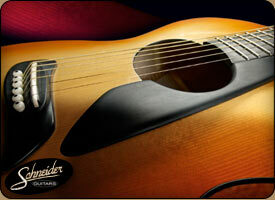 Inlays of Pearl and other fine acoutriments make this guitar a masterpiece. Some call it a dream within a dream. The top is rare European Spruce with back and sides in highly flamed European Maple. The bridge, fingerboard, finger-rest and tail-piece is highly figured Ebony. 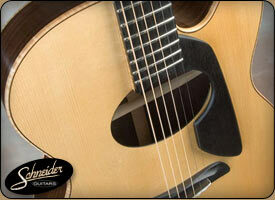 Inlays of Pearl and other fine acoutriments make this guitar one-of-a-kind. This guitar is truly unique. 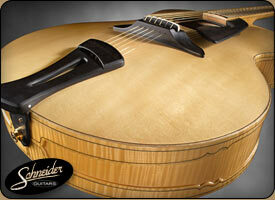 The top is rare European Spruce with back and sides in highly flamed European Maple. 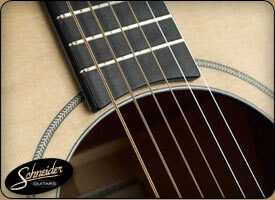 The bridge, fingerboard, finger-rest and head veneer is Ebony. Inlays of Pearl and more. This guitar will truly move you. This is a mid-size flat top guitar. 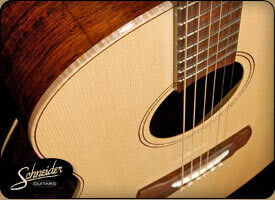 The top is 25 Year Old Quarter-sawn Sitka Spruce with back and sides in Ancient Quarter-sawn Brazilian Rosewood . The bridge and fingerboard are Quarter-sawn Ebony. The finger-rest is Ebony. Inlays are Pearl. This guitar will engage you. The top is 25 yr old European Spruce with back and sides in 25 year old East Indian Rosewood. 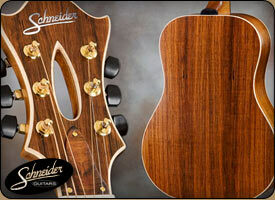 It has an ebony bridge, fingerboard, pickguard, and headstock veneer. This guitar has smooth decay. The top is grade AAAA Adirondack Spruce. It has Brazilian Rosewood back and sides, bridge, fingerboard, and headstock veneer with Brazilian Rosewood and curly maple inlaid rosette. This guitar has palettes. The top is 25 Year Old Quarter-sawn European Spruce with back and sides in extremely figured ancient quarter-sawn Brazilian Rosewood from the same tree. The neck is quarter-sawn Mahogany with custom “flame” trim on side of head stock. The bracing is Circle of Sound for a clarity and sustain that lasts forever. This guitar has diversity. This Classical has a 15.5" body. The top is Old European Spruce. The back and side are East Indian Rosewood. The neck is Flamed Mahogany. 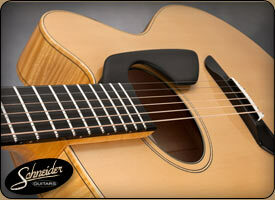 The head veneer, bridge, fingerboard and finger-rest is Eboy. This guitar has pure balance. This small body flat top has a 14.5" body. The top is aged European Spruce with back, sides, bridge, fingerboard, and finger-rest in rare ancient quarter-sawn Brazillian Rosewood. The rosette is rosewood and flamed maple. This guitar will make it's voice heard. This small body flat top has a top of 30 year old Sitka Spruce. The back and sidesare 25 year old quarter-sawn East Indian Rosewood. 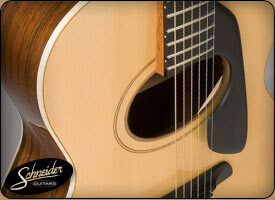 The brige adn fingerboard is quarter-sawn Each Indian Rosewood. The neck is quarter-sawn mahogany. This small body 12-fret guitar will stand out. 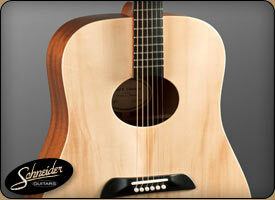 The top is made of the finest, close-grain Engleman Spruce. 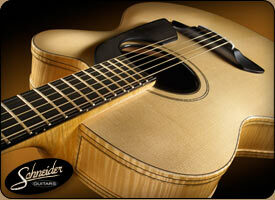 It has a hand-carved ebony bridge, ebony fingerboard, floating pickguard and headstock veneer. This guitar is truly unique. This archtop guitar is a strong solo instrument. 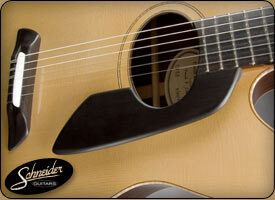 The top is of the finest aged European Spruce, tight grain with no runout. The back and sides are 30 year old German Maple. It has a quarter-sawn and straight grained curly maple neck, ebony fingerboard, bridge and binding with a herringbone rosette. This guitar offers a full spectrum of sound. This jumbo flat top has a 17" body. Top of figured quarter-sawn Sitka Spruce. Back and sides are quarter-sawn flamed maple with a center inlay. The neck is Flamed Maple. The bridge, fingerboard, tail-piece, and finger-res East Indian Rosewood. This guitar is has serious overtones. This 16" body. Top of Adirondack (red) Spruce. Back, sides and neck are Honduran Mahogany. The bridge, fingerboard, and head are Ebony. 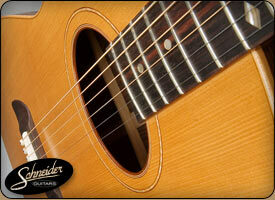 This Mahogany Dreadnaught Acoustic Guitar will SURELY Sooth Your Ears! "One of the acoustic guitars he built and allowed me to play was hands down the finest acoustic guitar I've ever played in my life."